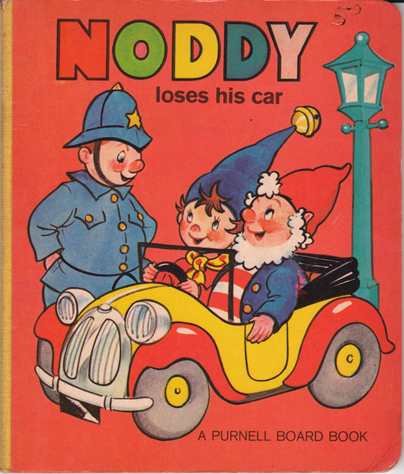 Description: Ultra-scarce board book featuring Toytown's most famous resident. Charming, full-page colour illustrations throughout. Pictorial boards with yellow, cloth spine. Spine slightly worn at head. Front board lightly creased (visible only under direct light); rear is lightly rubbed. Previous owner attempted to sell the book for 5p (a pretty penny back in the '70s!) and has inscribed this price in ballpoint on the front board (refer to image). Two insignificant marks on the first two 'pages', otherwise excellent condition internally. Measures approx. 18.5 cm × 15.5 cm (7.4″ × 6.2″). 12mo. Unpaginated.